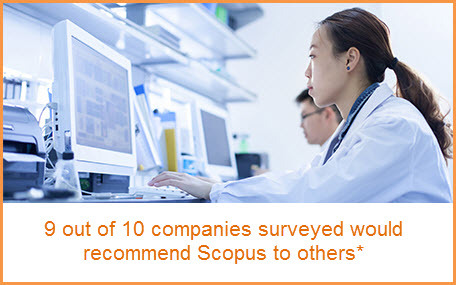 To better understand how Scopus helps to support research and development outcomes, and pass that information along to you, we recently surveyed R&D organizations that use Scopus. 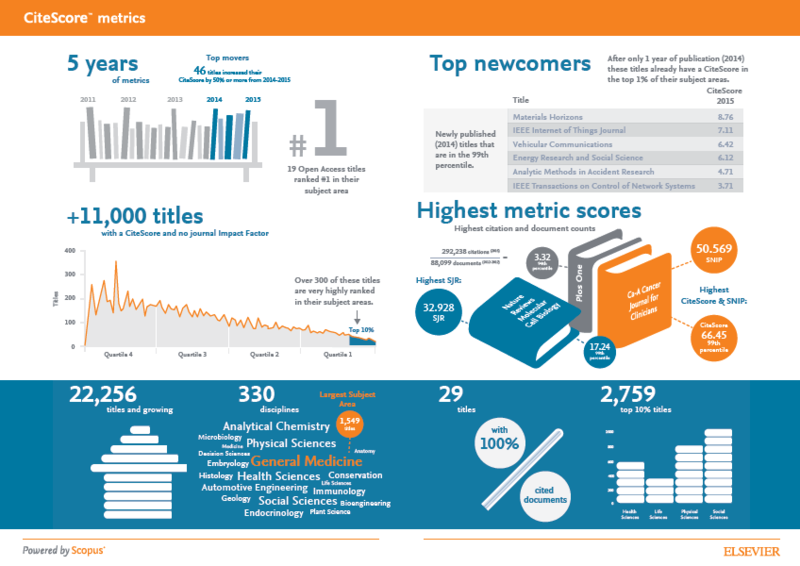 Whether to stay abreast of scientific developments, develop new ideas quicker, keep ahead of the competition, or find key experts and opinion leaders, organizations have found Scopus enables their R&D researchers to overcome industry challenges. In this post, we focus on 2 key ways Scopus is making a difference for researchers in the R&D industry. “We were faced with a technical problem where we didn't have the competencies internally. 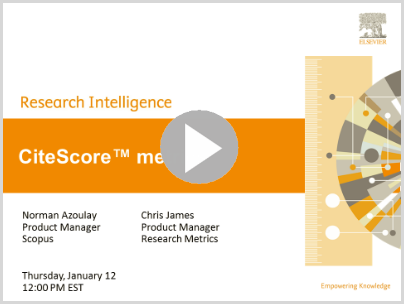 Last year, we introduced a library of video and written case studies in which university leaders from around the world share how they are using Scopus, SciVal and Pure to answer pressing challenges faced by their researchers and research managers. SciVal In Their Words: Yao-Ting Sung, Executive Vice President of National Taiwan Normal University, on using SciVal to help broaden the university’s strategic vision. SciVal In Their Words: Jeffrey J.P. Tsai, President of Asia University, on using SciVal to promote international collaboration. SciVal In Their Words: Tao-ming Cheng, President of Chaoyang University of Technology, on using SciVal to improve institutional rankings. 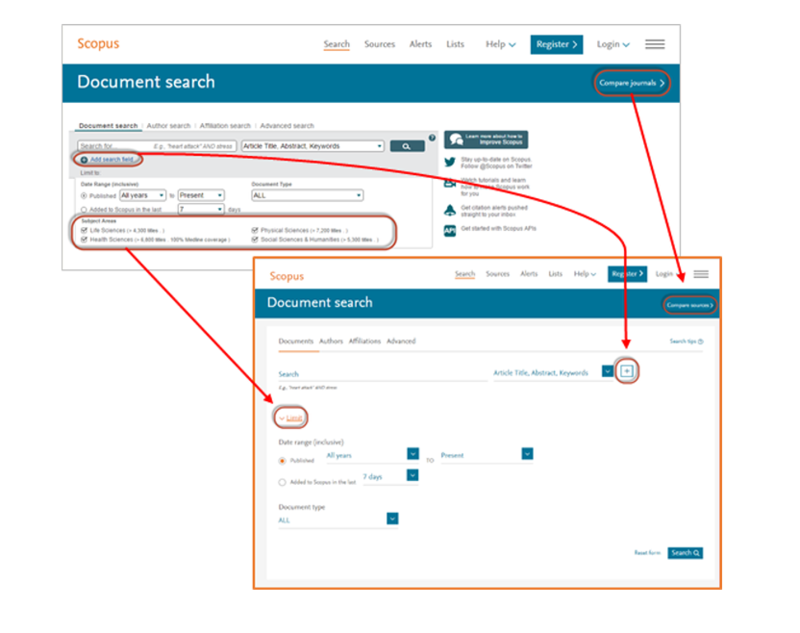 Scopus is experiencing issues which, at times, may result in search functionality to become temporarily disabled. It is possible that this problem may continue during the holiday period while we work to resolve it. “Compare journals” has been renamed to “Compare sources”. “Add search field” is now represented by a “+” button. Click on this to add an additional search field. To remove additional search fields you can click the “-“ button. The “limit to” section is now hidden by default. You can click on the “Limit” drop down link to display the date range (inclusive) and document type filters. The subject areas in the “limit to” section have been removed. As default, all subject areas will be used when doing a search. You can still filter on subject areas after you have done a search using the refine panel on the left hand side.